Also this post marks the start of my first theme month. 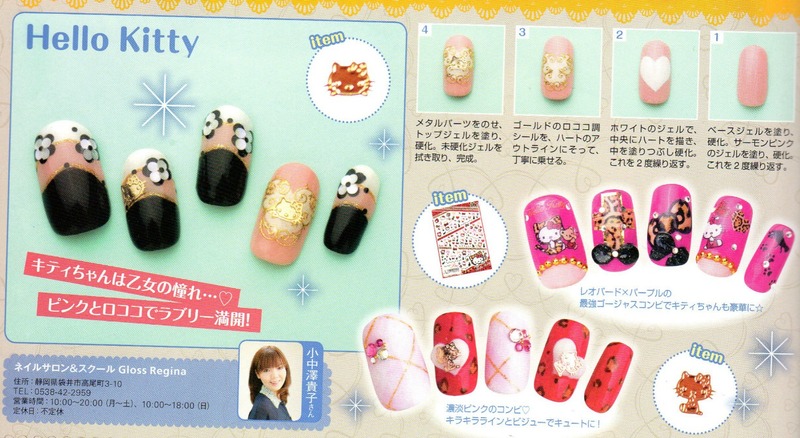 The theme being kawaii (cute). 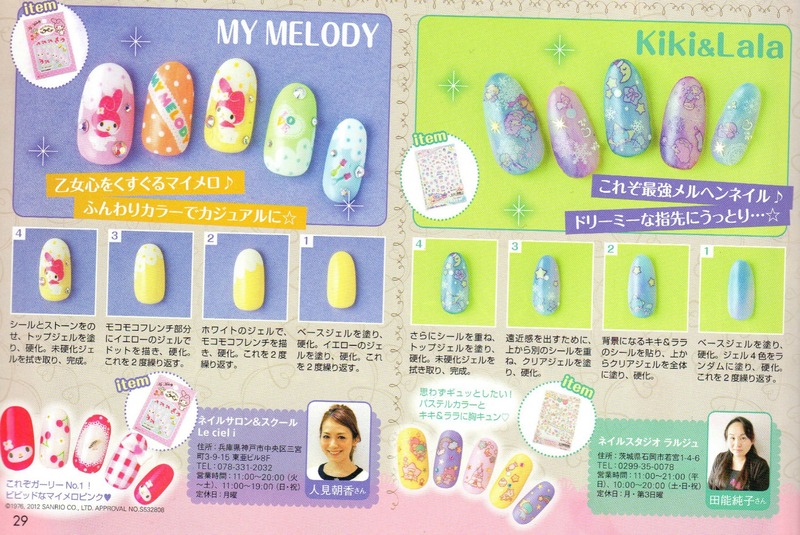 So this nail inspiration post is full of kawaii nail art tutorials with cute characters that we all know and love. 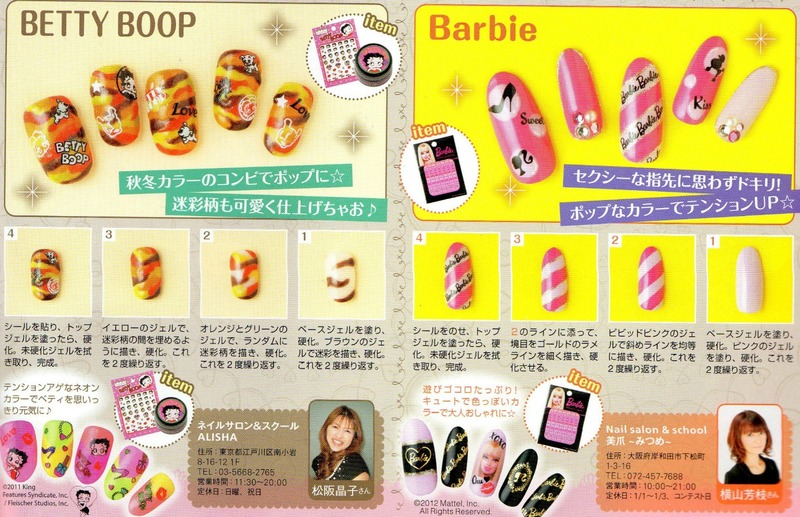 These tutorials come from the January 2013 issue of Nail Up! Kawaii characters are huge in Japan as expected and the queen of everything kawaii is none other than Hello Kitty. 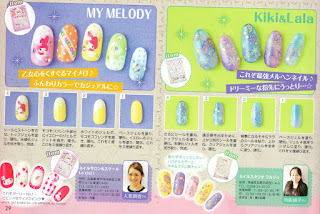 I adore the Kiki&Lala designs, both are so cute! 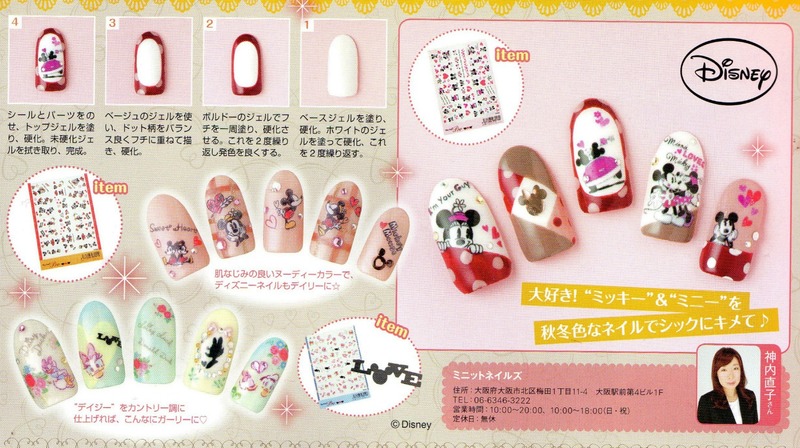 Of course when it comes to kawaii characters, we cannot forget about Disney. 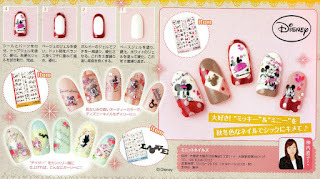 Disney characters are as popular as ever and always a great source of inspiration for nail art. 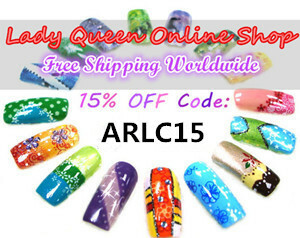 Last but not least, two very famous cute ladies, Betty Boop and Barbie. I am dying from the cuteness! 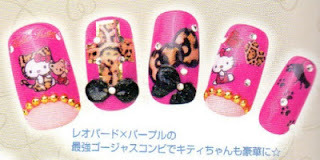 This Minnie mani is so adorable! You're trying to kill me with overload cuteness! That's true but I noticed they mostly use nail decals for these. If only we had such a cute variety here too!